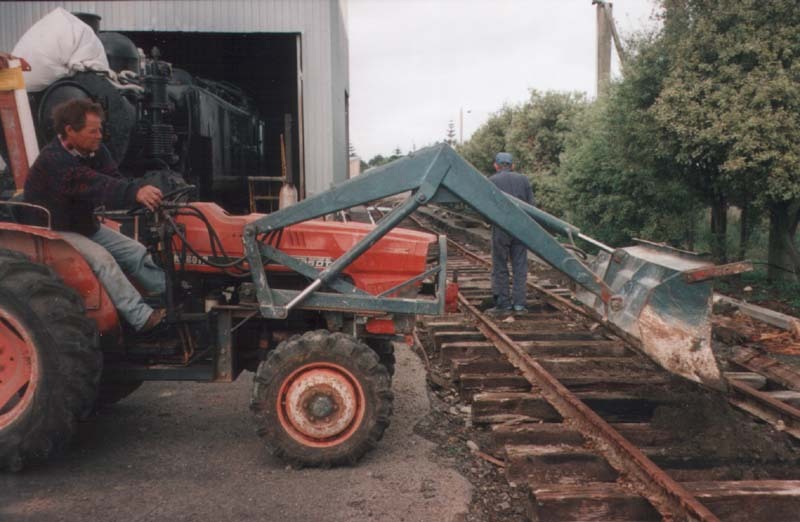 The depot only had rail into the pit shed where the fertiliser was unloaded. 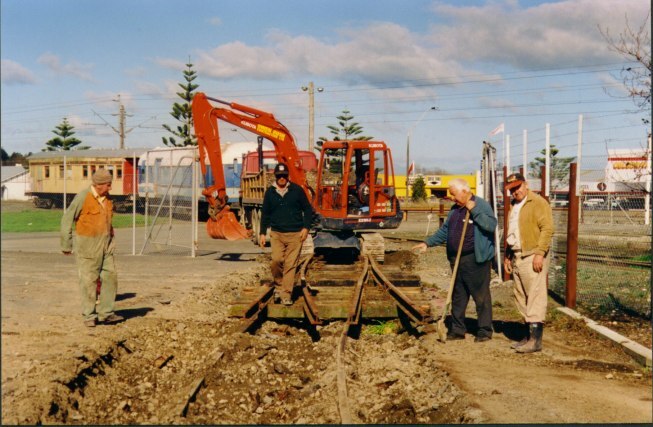 So for us to be able to move the locos, carriages and wagons around and into the sheds, we had to install our own rail in the yard. Fencing has also been added to secure the site from theives and vandals. 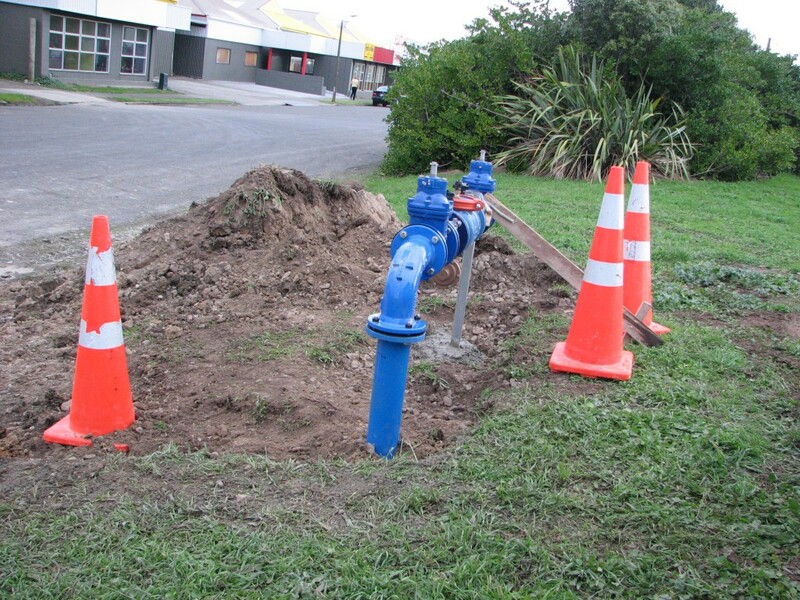 New hydrant installed so we no longer need to use the one in the middle of the road. 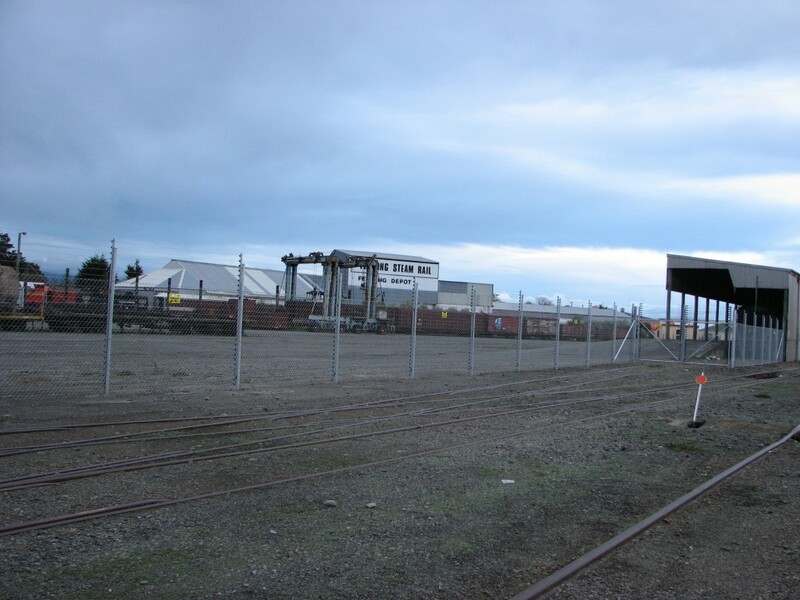 With a lease on the yard alongside our depot, we will have a lot more space to securely store all our carriages and wagons. 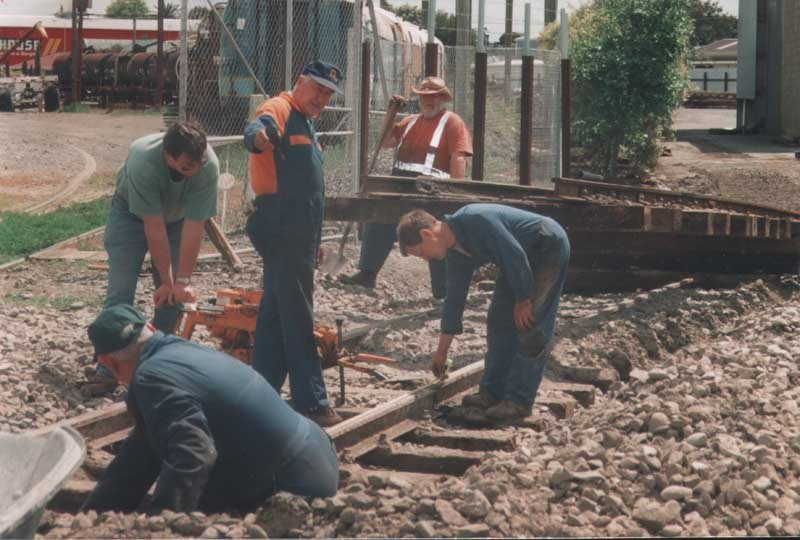 The new yard will allow us to operate the depot yard a lot easier as wagons will not need to be cleared from the track whenever the loco needs to be turned. 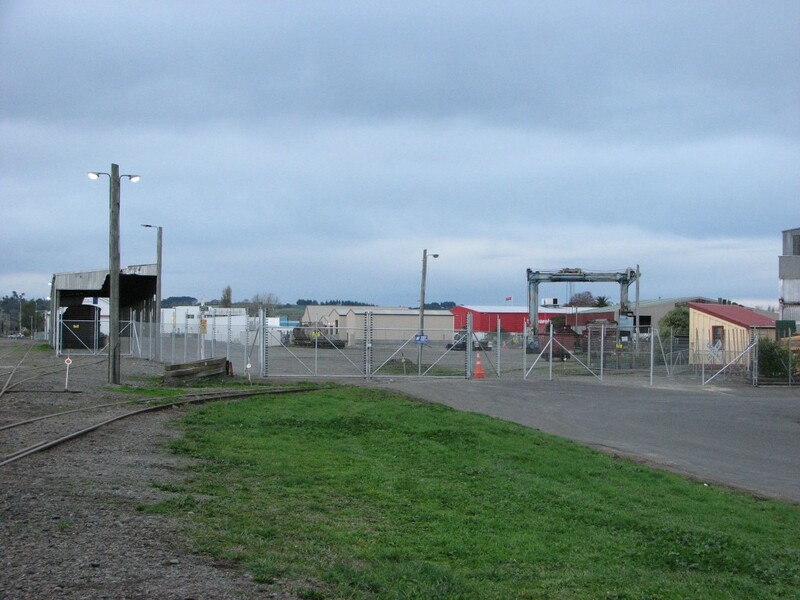 The yard has been electified to help reduce the attack by vandals. 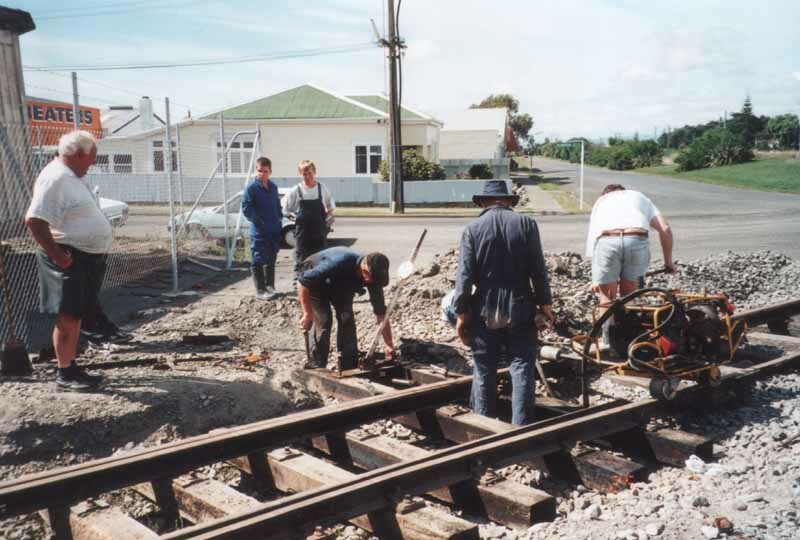 Special assistance from Gallaghers have allowed us to electrify the orginal fencing that had never been electrified. 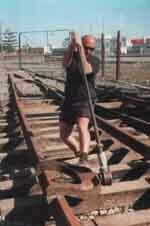 Bob sorting out the trackage. Photo by Stan Jenkins. The rail needs bending so it can line up with the existing track, we are getting quite good at this as we have bent quite a bit of rail so far. Photo by Stan Jenkins. 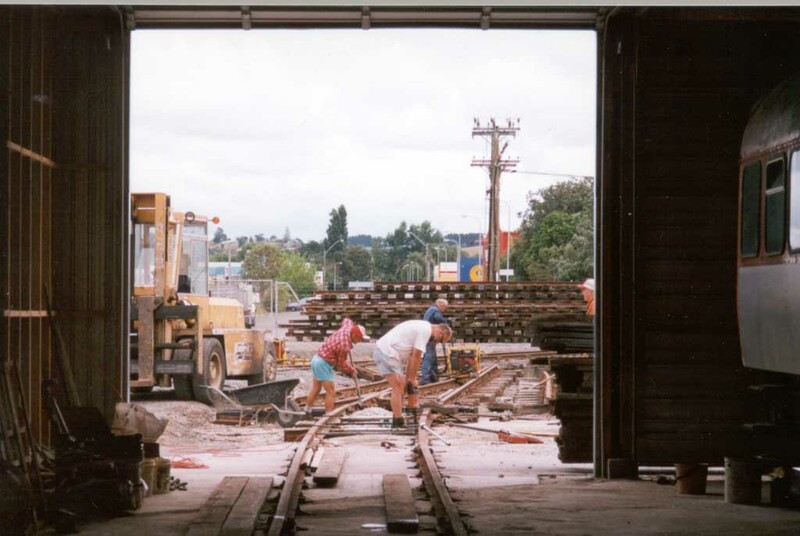 We have installed a set of points that lead into the engine road of the large shed, these points allow rail equipment to go right though the pit shed and onto the turntable. Photo by Stan Jenkins. We are fitting our first set of points, this job took two days and has many steps, all worked out well and should last for many years. Photo by Stan Jenkins. 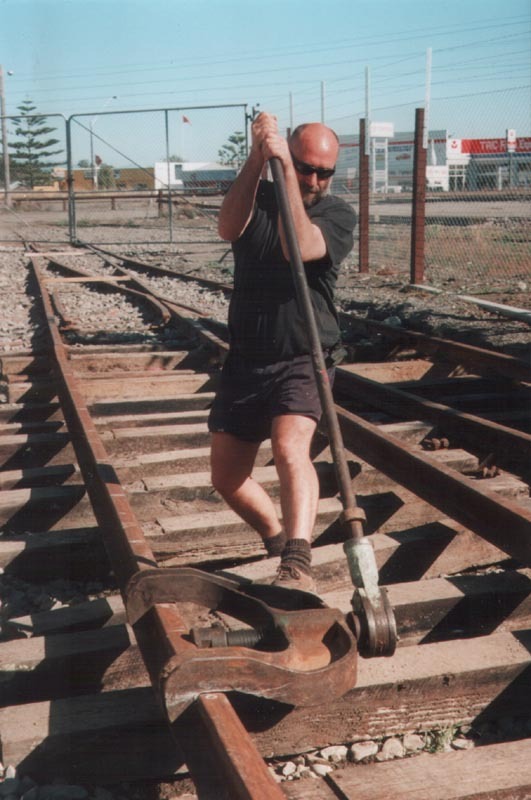 Cutting the rail to make room for the points to be installed. Photo by Stan Jenkins. Planning the location of our first set of points into our new yard. Photo by Stan Jenkins. 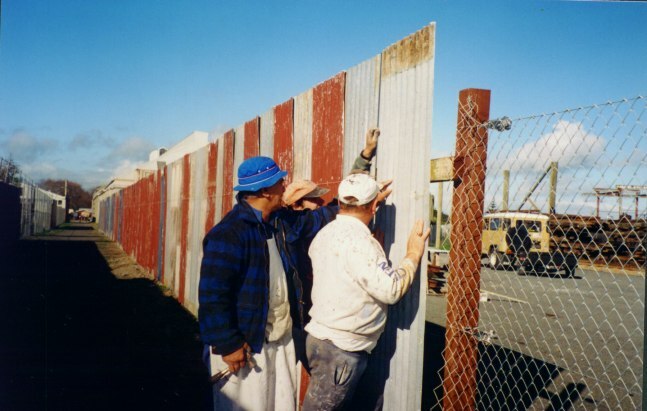 We have recently completed the security fence around the yard, this hopefully will prevent vandals painting equipment, and other troubling problems. Photo by Stan Jenkins. The majority of the photos displayed on this page were taken by Stan Jenkins.